At a time when most companies are scaling back their advertising, Paul Penders is increasing its exposure. The inaugural issue of R.A.W. Magazine – which stands for “Real Authentic Women” – will feature a 6-page spread on Paul Penders products. In addition to the beautiful images for which the company is known, the ad will include a backgrounder describing the origins of the products, Paul’s commitment to high quality organics, and the many twists and turns that brought the company to where it is today. In fact, there was so much to say about the products, the company and its people that a 1,000 word article soon turned into more than 1,500 words – and I easily could have kept writing! Above and beyond a discussion of the uniqueness of the herbal ingredients and cold processing technique, I was trying to convey the magic of Langkawi – the je ne sais quoi of that idyllic paradise that somehow seeps into the products themselves. Idealistic? Yes, maybe. But having visited Paul there roughly 18 months ago, I can’t describe it any other way. To view a section of the first issue of R.A.W., including part of the Paul Penders ad spread, click here. Paul Penders – Truly Web 2.0! Web Spiders’ association with Paul Penders goes back a long way. We’ve been working together for six years now, and over this period we’ve had many opportunities to closely observe how this company operates, and how it has gradually evolved to become a premier provider of herbal skin care products and cosmetics. Being a company actively operating in the Web 2.0/ Social Media sphere ourselves, we appreciate the fact that as a real world company, Paul Penders is truly Web 2.0. It is a grassroots collaborative effort of many people, an initiative that was evident from the very early days of operation. Those who have been intimately associated with Paul know how true that is; an example will suffice to illustrate the point. Paul has always been a proponent of non-animal tested cosmetics. Since he was not open to the idea of testing his products on animals, two of his aunts, who were nuns, offered themselves as test subjects for Paul’s cosmetics. Paul went ahead with his experiment in the face of strong opposition from the authorities of his home country, the Netherlands. Although the experiment was a complete success, Paul was forced to close shop and move to USA. This spirit of commitment and collaboration has remained to this day, and that is what makes Paul Penders unique. We’ve had a great experience working with this company over the last six years, and we look forward to many more years of fruitful collaboration. Finally, with animal testing of cosmetics becoming a serious mainstream issue over time, we are happy that Paul’s stand has been vindicated. We salute his indomitable spirit and wish him the very best. Here is that great little book I truly love; the best I have read for a while. It’s a concise guide to making the most of yourself; a pocket “bible” for the talented and timid to make the unthinkable thinkable and the impossible possible. 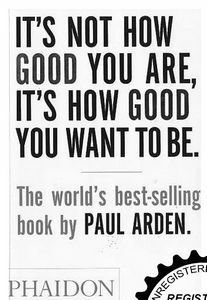 Paul Arden one of my favorites, is a competitive person with a heart and positive spirits. Oh… gosh… you made a mistake? Well, mistakes are OK he says. Or… You blew it? Well it is OK to blow something. “It’s Not How Good You Are, It’s How Good You Want To Be“. Phaidon ISBN 9780714843377….. Available in all bookstores. Now, at the end of this busy day I’d like to update you about the results of our fine R&D team where bit by bit we are getting close to where we want to be …. As the bases are all made with certified organic materials, it takes a longer time for R&D to finish. Now… I still don’t know the difference between “certified organic cosmetics”, and “cosmetic products that are made with certified organic materials”. coconut water… that should be better, right? Because…. again…. certified organic ingredients doesn’t necessarily means natural ingredients – isn’t that true? This all must be explained better to a confused consumer made already almost crazy these days. give our consumers the best they deserve. 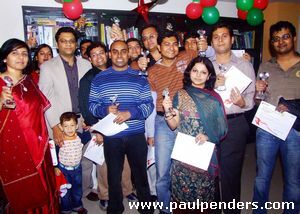 I am glad to help my brother Paul to realize one of his (many) dreams. 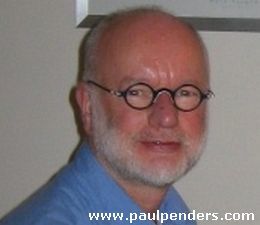 I manage the Paul Penders eStore all the way from Holland. We receive orders via our eStore worldwide. I manage operations, automatic bank system and the follow-up for our customers after they received the products. 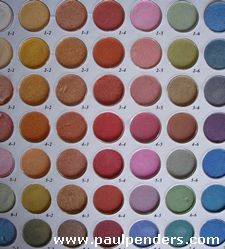 More and more people want to try our pure natural cosmetics made with certified organic herbs without chemicals. But they can’t always find a store nearby, so then they order from us directly or through one of our fine distributors in that particular country. I visited Paul Penders Company on a few occasions; two times in California and one time in Langkawi Geopark in Malaysia. It is virtually impossible for anyone ever visited Langkawi Gepark, to forget these beautiful 99 tropical islands located west from Malaysia and Thailand. Life is still natural there with the air and water clean and not to forget these magnificent rainforests! I will see our team again very soon and look forward to this next trip. Contributed by Marcel Penders, Managing Director International e-Sales of Paul Penders Co.